You may have access to some articles included in the Immigration Syllabus through your college, university or other library. 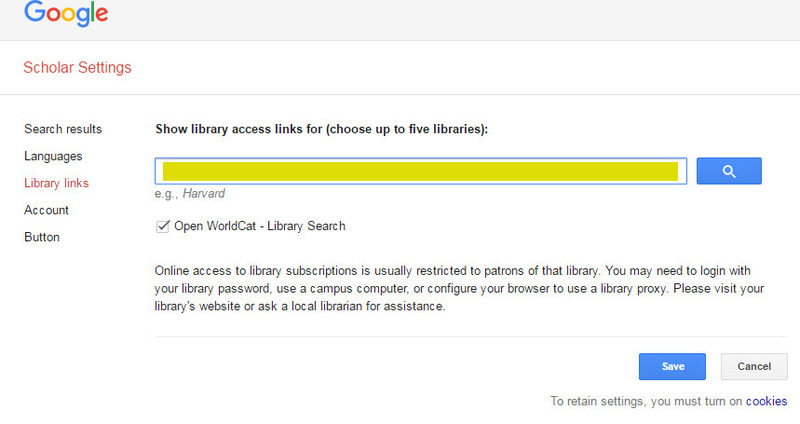 Some libraries allow you to configure Google Scholar to provide access to their subscription resources. Follow the instructions below to set up Google Scholar to give you access to items available via your library. It’s easy! 1. Visit the Library links page (in Settings on Google Scholar) and enter the name (or part of the name) of your college/university/other library. Hit “Enter” or click on the magnifying glass to search for that name. 2. Select your Library from the Search result list by checking the box in front of the name. You can uncheck the link to WorldCat or leave it checked depending on your preference. Don’t forget to click the “Save” button when you are done. 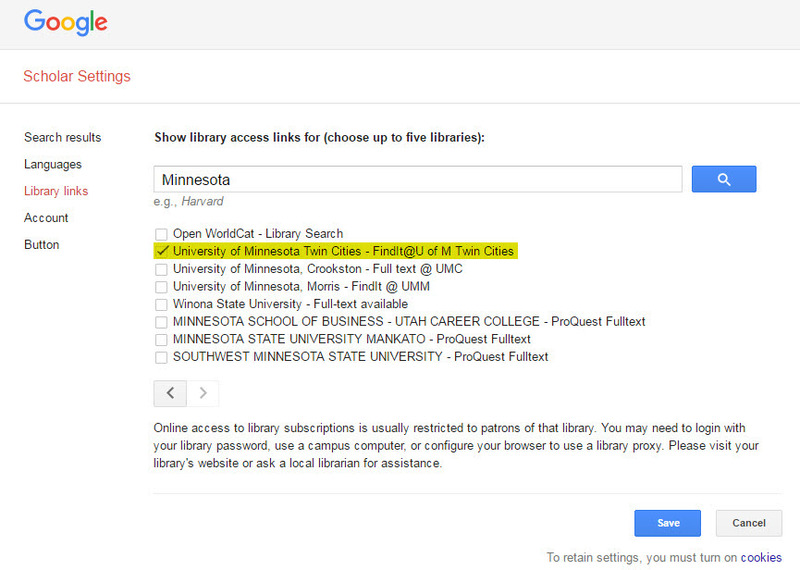 If you didn’t get any search results, you may need to search for a portion of your institution’s name (.e.g., Minnesota rather than University of…..) instead of the full name or contact your library for assistance. 3. Once Google Scholar is configured, click on an article link found in the Immigration Syllabus (items with a lock symbol ) to see your search results. You may be asked to login through your institution at some point in this process. Freely available (open access) versions of the article may be listed here as well. If you do not have access to these articles (either because your institution doesn’t subscribe to a particular journal or you are NOT affiliated with an academic library), you may be able to request the article via InterLibrary Loan at your local public library. Contact your local library to find out more. Instructions created by Kristi Jensen, University of Minnesota Libraries.